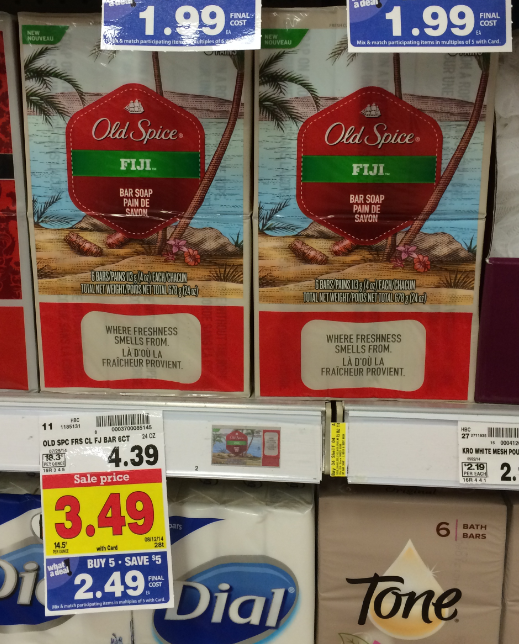 A Day Late and A Dollar Short: Old Spice - $.25 a Bar at Kroger this Week! Old Spice - $.25 a Bar at Kroger this Week! *Photo courtesy of Kroger Krazy. There is a great coupon out right now that will bring this Old Spice bar soap deal down to only $.25/bar. Not too shabby, right? Here is coupon to print, and remember, you can print each coupon twice.